Simply because an instrument is old does not mean that it has great value. This holds especially true for a violin. Many factors go into determining the worth of an antique violin, including the instrument's manufacturer, how it has been treated over the years and the violin’s overall appearance. Many people feel that an older violin has a better tone than a newer one because the aging of the wood creates more resonance. A violin with a good tone will be higher in value than one that is not. If you are unsure how to assess the tone, have a professional musician or someone skilled in the music field listen to the violin and tell you if the sound is rich and full or falls flat. Many people judge a book by its cover, and a beautiful violin tends to draw more interest. An important aspect of the appearance is the wood itself. While you can tell if a violin is beautiful, you may need to consult an expert to see if the wood used is of the highest quality and creates the best sound. The wood may also help identify where the violin was made. Violins that were handmade by an individual or by a small group of apprentices who worked for an important maker have greater worth. Any documentation that gives information about the maker can help increase the instrument’s value. Italian violins have the best reputation and tend to command a higher value. This is because the tradition of individually made instruments continued longer there than in other countries. For example, at the turn of the century, Germany produced many factory-made violins because of the proximity of the factories to forests of spruce and maple trees. It is very important to check the condition of an antique violin. If the instrument has small cracks, these can open wider with changes in climate and humidity. Also, repair work done over the life of violin can influence the value. A poor repair job can bring down the worth of an otherwise outstanding instrument. Use auction information and price guidebooks to see the value of comparable instruments. This will give you a good idea of your violin's worth. Check with your local library or bookstore to find price guides. 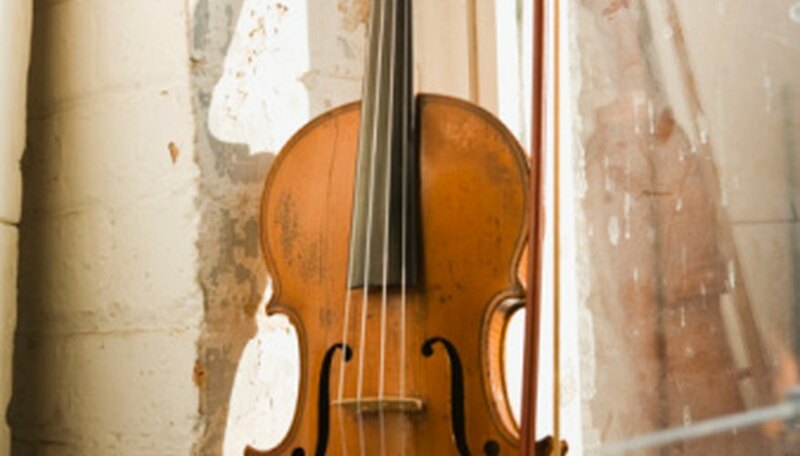 To get an expert’s assessment of the value comparable instruments have realized, hire a professional appraiser who specializes in stringed instruments. How Can I Know How Much My Violin Is Worth? What Instruments Have the Highest Pitch?